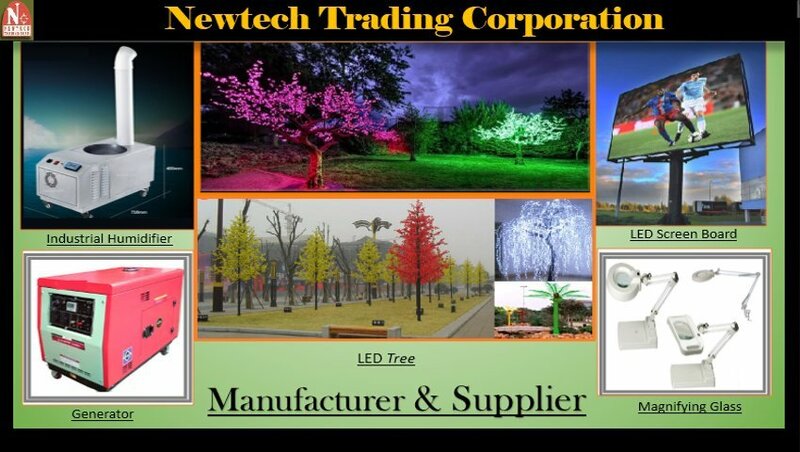 Established in the year 2007, we, “Newtech Trading Corporation”, which is engaged in manufacturing and importer of Industrial Humidifiers, LED Display Board. These laboratory equipment offered by us are made using premium grade raw material at reliable vendors' premises. Along with this, the offered range is known for its durability, high performance, dimensional accuracy, and reliability. We provide Generator Rental Services. Under the able guidance of our mentor, 'Mr. Amit Maske', we are able to maintain a unique stature in this domain. His wise managerial skills, innovative ideas, leadership attitude, and practical approach have enabled us to lead immensely in this domain. Trading of Digital Electrical Equipment & Humidifiers. We have hired a hard-working team of innovative personnel, which helps us immensely in delivering an unmatched assembly of various products. These experts keep a constant communication with the respectable patrons, in order to know & understand their demands accordingly. Selected via stringent measures, these professionals make sure to work in proximity with each other, in order to keep a safe & sound environment inside the premises. We ensure to source the offered range of products from reliable vendors of the market. These vendors are selected by our apt experts on different aspects such as raw material used, financial stature and infrastructure. Vendors, we deal with make sure to develop these laboratory equipment using high grade raw material and sophisticated technology. Furthermore, our vendors keep a strict vigil on the manufacturing process to ensure the compliance of products with the industry laid norms and standards. Our experts keep a cordial relationship with these vendors, in order to cater to the bulk requirements of clients accordingly.